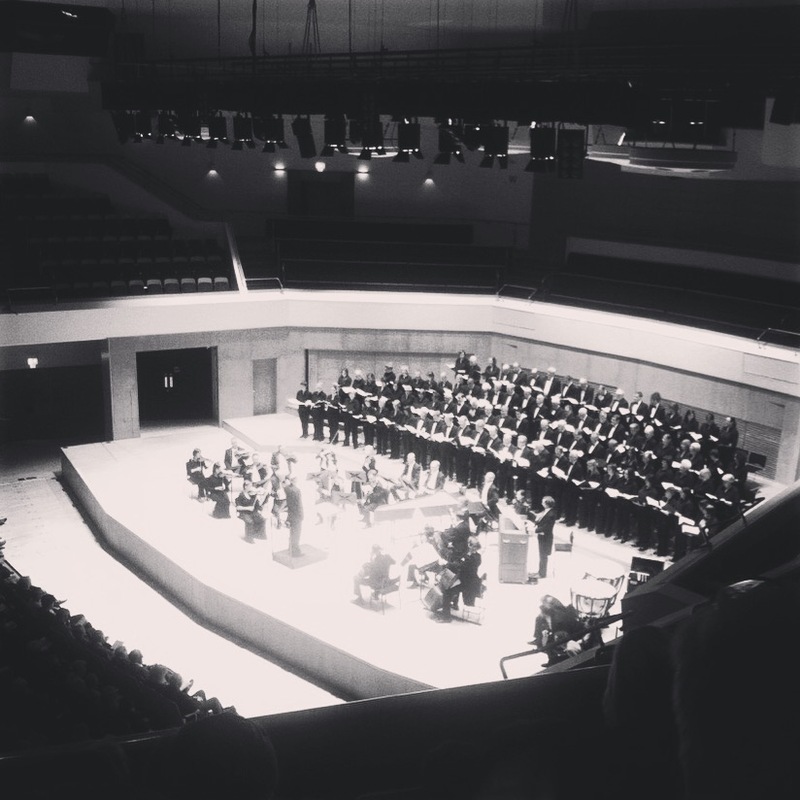 This weekend I got to hear/watch Handel’s Messiah performed by The Ulster Orchestra and Belfast Philharmonic at the Waterfront Hall in Belfast. It was breath-taking. The skill and energy bringing to life such a timeless, expertly crafted piece of story telling were unbelievable. I sat leaning ever-so-slightly forward, hands clasped for most of the performance. This may also have been because my uncultured self wanted to clap after every piece (my friends made sure this did not happen, tut tut). I periodically snapped out of my trance to marvel at the conductor. I thought about his leadership style, and how there were lessons to be learned there that translate into all fields. Disclaimer: I have no knowledge of what a conductor’s job description is, or indeed how he/she operates off stage. But this is what I noticed the conductor doing. Possibly because it isn’t possible. The conductor cannot leave the podium and talk one member of the orchestra through his/her part. It became obvious towards the end that there were certain lead choir members and that 3 soloists followed the fourth in moving around the stage. The conductor had probably briefed these other leaders; and during the performance he trusted each sub-group and each individual to perform well as he led them as a whole. Allowing creativity space to breathe. Part of allowing each member of the orchestra to take responsibility for and deliver their role means giving them room to be themselves. Stephen Layton, Saturday’s conductor, paid attention to the members and responded to what was coming through – because they were making music, being creative, adding their own takes. And so for the conductor to not micro-manage and allow for strengths and feelings to come out, he or she must know the orchestra. Layton’s face on Saturday changed depending on who he was looking at; he gave certain soloists a cheeky grin and used more deliberate gestures with certain sections of the orchestra. He spoke different languages. Knowing the direction and inspiring confidence. No one knew better than Layton what was to happen next. He knew the music like the back of his hand and was secure in the path he was leading the orchestra and choir to. He held the vision and the orchestra knew this, so they could relax into the performance. Before a crescendo, the conductor would take a deep breath and fist-pump the air on time for the choir to properly BELT it out. When the dynamic took a chilled-out, relaxed turn, he would lower his shoulders and sway his knees in a caricature-like fashion, and he took on the appearance of a fairy when the music was light and lilt-y. Behaviour, when reflected, is mirrored to a lesser extent than its original projection (when I learned about being on stage, someone told me the energy I put forward would come back halved)…so he used big, crazy, funny, loud gestures and led by example. The use of gestures is one of the ways the conductor communicated with the orchestra and choir. As he led them, there would have been hundreds of signals from his body language that were shaped for them, and presumably these were planted in how he interacted with the group off stage. The evident result of this communication was the trust and relationship between the conductor and group. Interpreting the moment, or communication part II. He listened, too: this is also a vital part of communication. He watched, heard, responded – to the music and to the group. No performance will be the same as another: the feeling, mood, skill, energy, audience of each performance moulds it. The conductor took this into his stride. The conductor organised the orchestra and choir to interact with the music in a way that he knew would captivate us, the audience. He knew the vision – or the story he wanted to tell us – and structured the performance to tell it well. He used his knowledge of the group, his healthy communication skills (so, telling and shaping the story well to and with the choir and orchestra first) and his vision to represent both the group and the music well. As per custom, the conductor had his back to the audience most of the night. His attention was on those he was leading and the journey he was taking them on. He didn’t turn back sneakily to see how many people he was impressing, or wave at his great-uncle Billy. He was focused in doing things well, for the good of the audience and the choir and orchestra. When he did turn to face us, he took in a brief moment of applause before highlighting the different sections of the orchestra and choir. A conductor is not a glory-seeker.